This vintage chalkboard was sourced from a school in Suffolk. We have not even cleaned this setup as we love the wear and evident use it has from all the chalk dust. Giving it a very authentic feel. Evidently perfect as a menu board. As per the pictures the board can be in portrait or landscape and the pegs can be moved up and down. 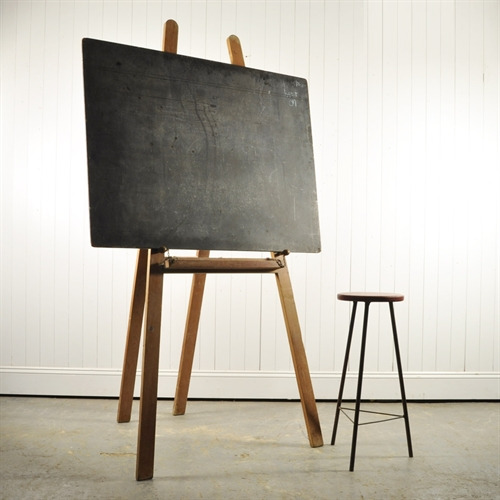 The Frame measure 210 cm h and the black board 124 x 92.